AdWords Express, the simplified small business ad platform launched goal tracking system in the platform in a previous year. It is now going to add support to business calls with two call notification types. Now, when the Advertiser will receive a call through a search ad, a notification will appear on his phone to leave call relevancy feedback. The feedback will appear in a question format asking ‘YES’, ‘NO’ or ‘NOT SURE’ for answering. The feedback will be stored in Google database and that will help in yielding higher-quality calls over the period. The other call notification will help small businesses to get real-time alerts when calls get missing from potential customers. 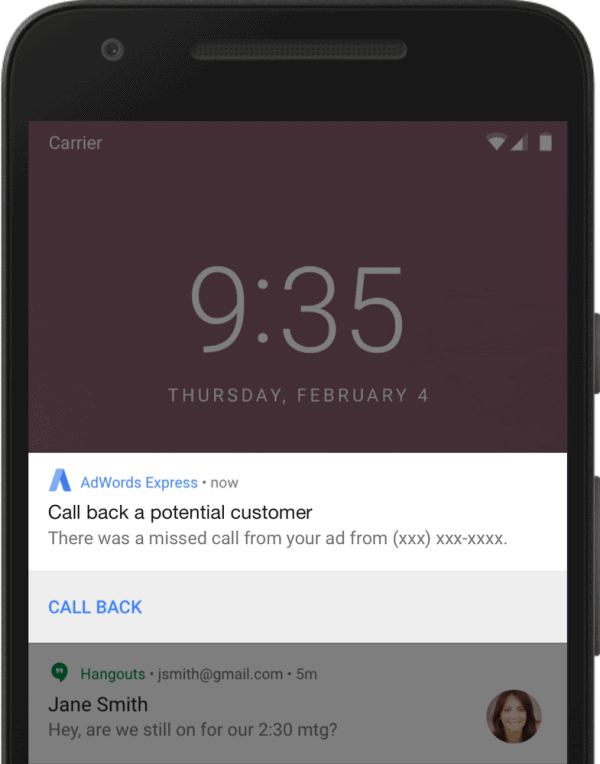 Now, AdWords Express will leave a popup message to the advertiser for missed calls. The business owner or advertiser will need to hit ‘CALL BACK’ option for getting in touch with the caller. 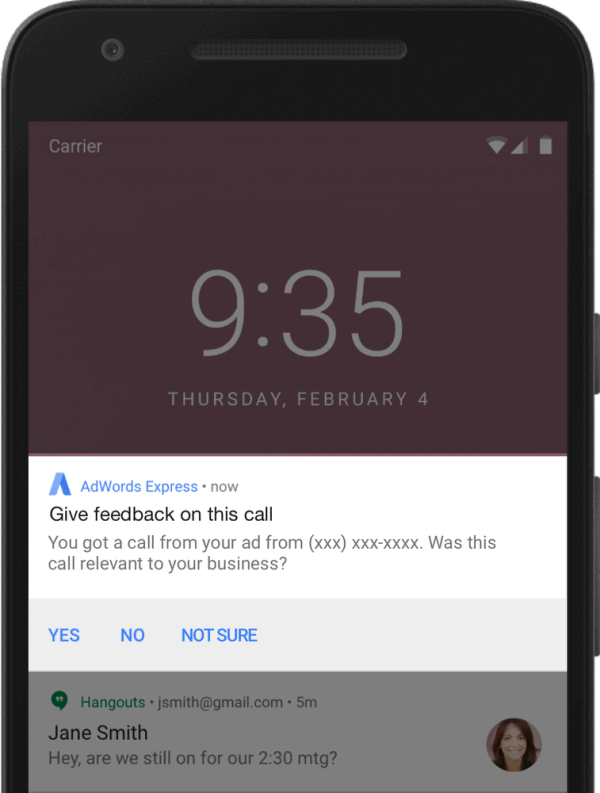 An advertiser can enable these notifications by entering AdWords Express app and choosing Account Updates within Settings.